Yama Spa B&B is a one of a kind Wine Spa placed in one of the most beautiful pieces of Israel, Zichron Yaakov, with a splendid view of the Mediterranean Sea. Right after building one more room, the owners decided to renew they old website. 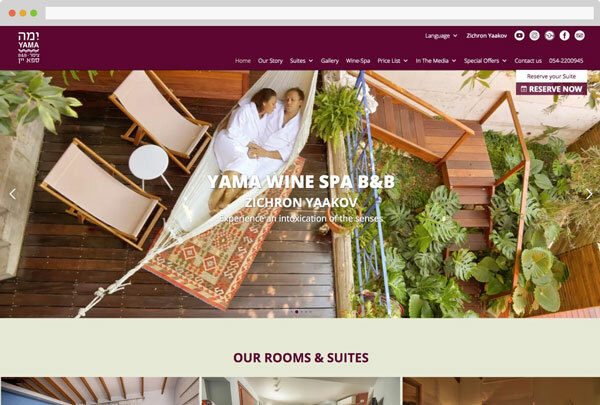 Redesign of the existing Yama Wine Spa B&B website, making it more convenient and user-friendly and creating a new modern design with adapted versions for tablets and smartphones. 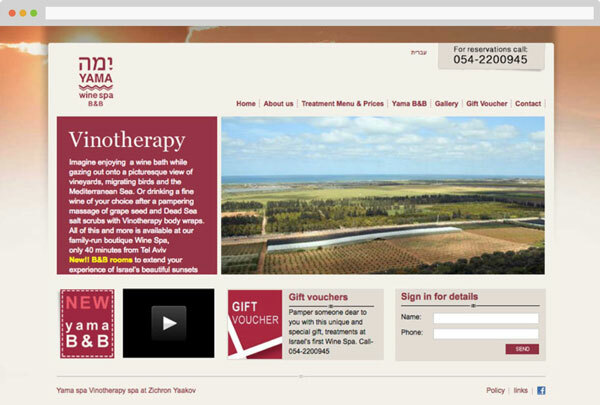 The previous design of the Yama Spa website was outdated; there was a need for new and modern interface solutions. The customer approached us with a request to redesign the website. 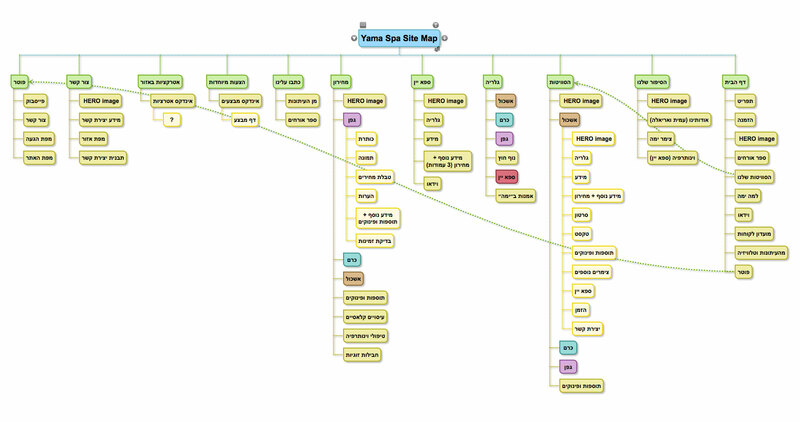 In order to understand the flow and to see the whole picture, I usually start with a sitemap. It’s like a plan for the scenario - how does the main character deal with the imminent threat? I obtained the list of key pages to be redesigned from the customer, figured out the specifics of operations of this particular site; I prepared designed prototype for the website’s desktop version and thought through the interface for mobile devices. 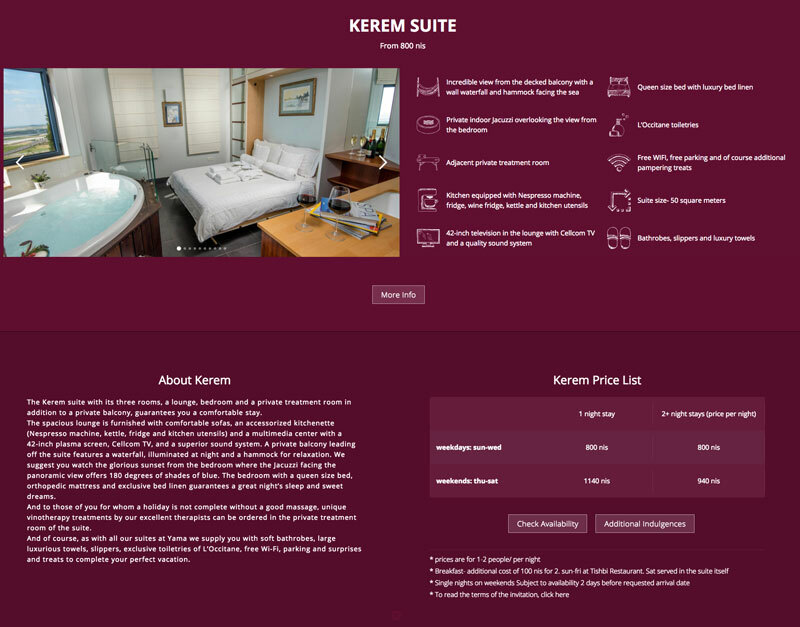 I designed the homepage page showing suites, benefits, special offers connected with outsourced service. It became a light motive on the whole website. I wanted Yama’s strong, bold main “Mulberry wood” color to be the main color, with its “Satin Linen” to harmonize. A client wanted to add something artistic and suggested to create a hand drawn icons. Great idea! I created micro-interactions revealing and hiding more information, to leave it clean and clear. Small business clients are extremely sensitive for every little piece of his “baby”. Sometimes even more then it’s needed. That leads to producing the unnecessary work. It’s not only a problem of time, but it’s a misunderstanding the main target. My role was not only to give a good design service but to consult the client with the right decisions in order to run his business in the best way. Hence, I learned to use my professional experience, as well as enrich the knowledge reading books about business leading, and thus to grow up even more providing a unique design and consulting services for my future clients.